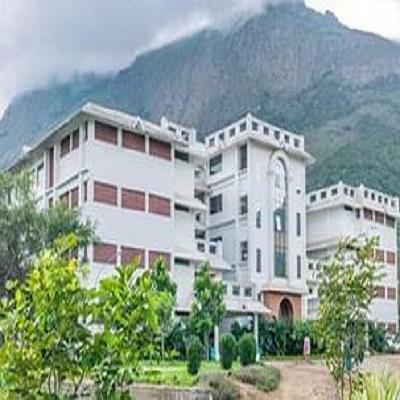 Amrita School of Communication, Coimbatore was established as one of the five campuses of the Amrita Vishwa Vidyapeetham. Amrita School of Communication has its campus in Amritanagar, Coimbatore, Tamil Nadu. The school offers four programs viz. B. A. Mass Communication, M. A in Communication, Postgraduate Diploma in Journalism (P. G. D. J) and Ph.D. in Communication at the undergraduate, postgraduate and research level. Amrita School of Communication (ASCOM) offers B.A. Mass Communication program at the undergraduate level. The minimum eligibility to apply for B.A. Mass Com. is 10+2 examination with minimum 50% marks or any equivalent qualification recognized by the Association of Indian Universities, New Delhi. Candidate from the foreign universities should obtain an Equivalence Certificate from the Association of Indian Universities, New Delhi. Selection of this course will be on the basis of marks secured by the candidate in CAPTEST (Communication Aptitude Test) and Personal interview round. Amrita School of Communication (ASCOM) offers M.A. Mass Communication and P.G Diploma in Journalism programs at the Postgraduate level. Candidates applying to these courses must hold a bachelor's degree (10+2+3 system) in any discipline recognized by the Association of Indian Universities with an aggregate 50% marks. The P. G. D. J. is a one-year postgraduate diploma in print and broadcast journalism. This also provides students an opportunity to make a lateral entry to M.A. (Communication) program in the second year. Candidates with more than 70% aggregate marks during the first two years of their degree are exempted from appearing for the CAPTEST. However, they will have to appear for group discussion and personal interview round. Amrita School of Communication offers Ph. D. program in Print Media, Broadcast Media, New Media, Film Studies, Integrated Marketing Communication and Advertising at the Doctoral level. Candidates applying to the Ph.D. program must hold a Master's Degree with minimum 55% aggregate in any discipline from a recognized University. Induction in media and allied industries are based on portfolios and merit. Campus placements are offered in new and upcoming streams like marketing communications, web communications, and animation. The department works with advertising agencies, newspaper publishing houses, the animation and graphic design industries, PR agencies, television news/entertainment channels, TV program production houses, corporate and visual communications departments for campus placements. Studio: The School has a wide-screen, acoustically treated facility complete with digital surround sound to wield screenings and seminars. The program control gallery is equipped with state-of-the-art special effects vision mixer, a sound booth for voice recording, audio console, high-end digital video recorder for live audio-video inserts and online monitoring facilities. The floor area also has an installed news presentation and interviewing facility with four Sony cameras on dolly mounts to ensure a variety of camera positions. Advanced microphones with optional directionality have also been installed. Amrita Vishwa Vidyapeetham is already equipped with a fully live and interactive studio for e-learning across the campuses of Amrita Vishwa Vidyapeetham and in remote project areas. A high-speed computer lab is fully enabled for Web Design, Animation, and Video Editing. Classrooms are spacious with adequate sound and projection facilities. Vidya – Digital Library: Amrita's Digital Library is appropriately known as Vidya. It is a multimedia-rich 1.5 TeraByte of information including audio and text, video lectures, journals, news shows and documentaries from around the world. All these are available to Amrita students on the campus network through streaming and on-demand mode. Vidya began as a modest Digital Information Repository, but today includes learning materials from some of the best universities and research centers around the globe. Amrita students incorporate this archived material into their learning schedules; this contributes immensely to the in-depth understanding of subjects taught. Why join Amrita School of Communication, Coimbatore? To this end, ASCOM has a special focus in its curriculum; modules that concentrate on teaching life skills that create self-awareness and empower students, facilitating all-round development. Our studio and its lab facilities, exchange programs, internships and placement cells take care of the task of equipping our students with the necessary training, techniques, and technology; while our faculty explores, researchers and finds creative ways to share and impart knowledge. In addition, there are opportunities in new and upcoming career streams including marketing communications, web communications, and animation. The School works with advertising agencies, newspaper publishing houses, the animation and graphic design industries, PR agencies, television news/entertainment channels, TV program production houses, corporate and visual communications departments for campus placements.